Embankment and fill slopes in road, railway, airport, industrial and other constructions require drainage and efficient protection to avoid erosion gullies and sliding. Techniques and products depend on factors such as: slope gradient, tendency to erode, desired protection (permanent or temporary), slope height and the preferred drainage type, among others. 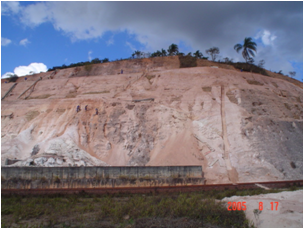 An inadequate technique will compromise slope safety; adequate information should be obtained to choose the correct technique and product. Anti-erosion biomats protect slopes before vegetation is established. The biomat should be chosen appropriately to successfully meet customer requirements. It is important to emphasize that vegetation is essential to stabilize the slope. By using different plant species, protection may be extended deeper into the soil, providing increased stability.